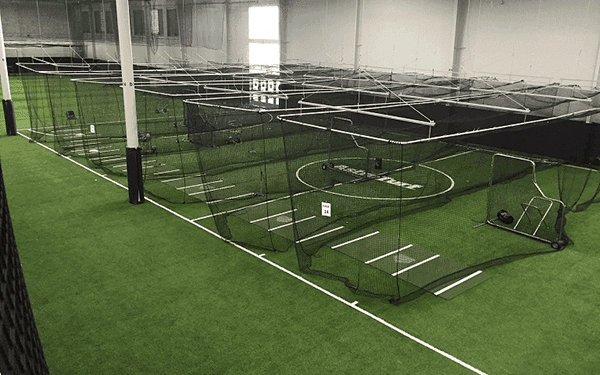 The Spooky Nook Sports Baseball & Softball Center offers fourteen indoor batting cages, three pitching lanes, and our very own turf diamond – a full-sized softball infield with in-ground bases, dugouts, and a mezzanine level for spectators. Field dimensions include 125’ down the left and right field lines, 150’ in center field, and a 15’ padded outfield wall. 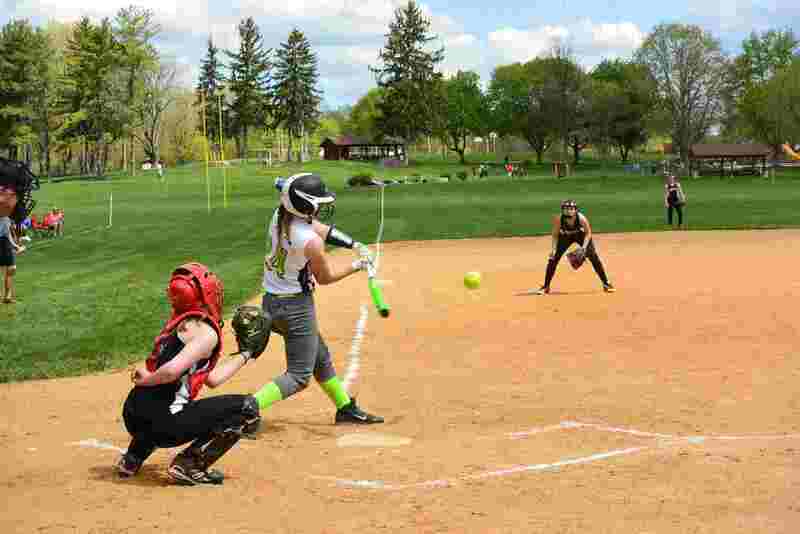 Spooky Nook Sports creates a vibrant softball atmosphere that encourages competitive fun! 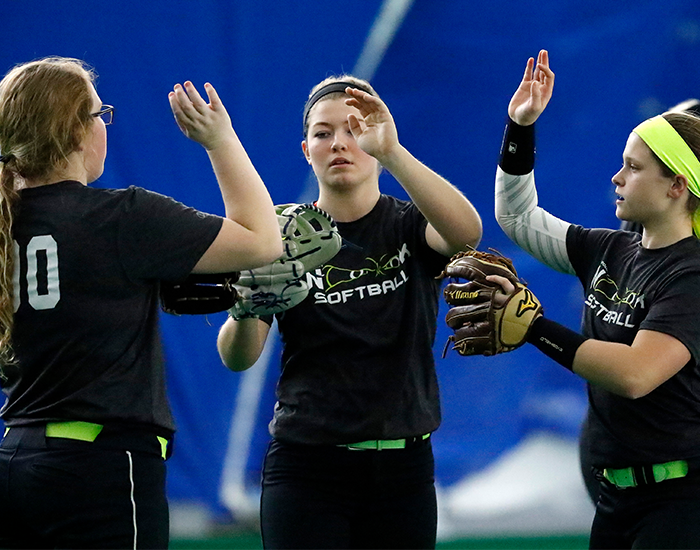 Spooky Nook Softball offers private and small group instruction, beginner and elite level clinics, summer camps, nationally recognized academy teams, indoor youth fastpitch and adult slowpitch softball tournaments (also including fields in our Field House and Dome), High School Dome Leagues and much more. 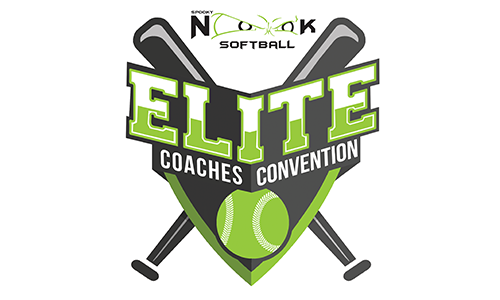 Spooky Nook Sports held our inaugural Elite Softball Coaches Convention in 2018 with presenters including top presenters such as Natasha Watley, Amanda Freed, and Tina Whitlock. This event will change how you view coaches clinics! The purpose of the Convention is to bring together coaches, industry vendors, and athletes in a world class facility to grow the game of softball together. Highly qualified coaches with varying backgrounds will be presenting topics geared for all coaches, with separate clinics and showcase games for athletes scheduled throughout the weekend. Private instruction for hitting, pitching, & fielding/throwing is available at the Nook for athletes of all ages and skill levels. Our coaching staff, with many years of coaching and playing experience combined, will work with players one-on-one and customize lessons for players’ wants and needs. We have several softball specific spaces available for team, groups, companies, and individual rentals. You can now book the batting cages/pitching lanes and the small turf (60×120) online! Spooky Nook Softball utilizes our dome, field house, and diamond turf fields for indoor USA Softball sanctioned fastpitch tournaments. These tournaments are available for youth travel softball teams ages 10U through 18U Gold each year.